Get ready to run the streets of New York with the host of the Tonight Show. 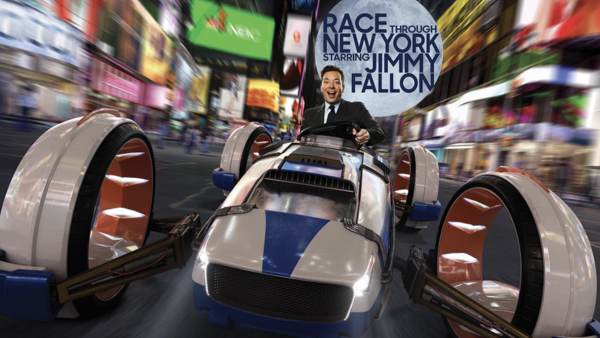 Universal Orlando Resort yesterday revealed more details about their latest attraction and it seems that fans of the Jimmy Fallon will not be disappointed. 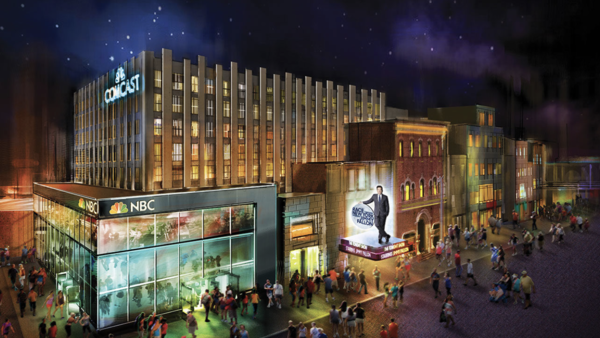 Next spring, the New York streets at Universal Studios Orlando will become the second home of a classic Big Apple Icon, the "Tonight Show". Set in a building that looks remarkably like 30 Rockafeller Plaza, home of Comcast and NBC, the attraction will take park guests on an interactive journey into the world of Studio 6B. All your favourite things from the show will be there for you to enjoy. There's Lip Sync Battle, History of Rap and you'll be treated to the musical stylings of the Ragtime Gals barbershop quartet. Don't forget to send Thank You Notes to your friends at your own Interactive Desk in the Studio 6B Club. Let's not forget Hashtag the Panda, who will of course be there ready to dance with you. From 30 Rock out into the streets (and the skies!) of The Big Apple, you and your fellow studio audience members will zoom past iconic New York City landmarks in an action-packed race with plenty of twists and turns along the way. As you whizz around the city that never sleeps you will encounter a few character's from the show including announcer Steve Higgins, Sara from "Ew" and Jimmy in "Tight Pants". So Universal haven't given an exact open date for the brand new attraction but we do know that it will be spring of next year.